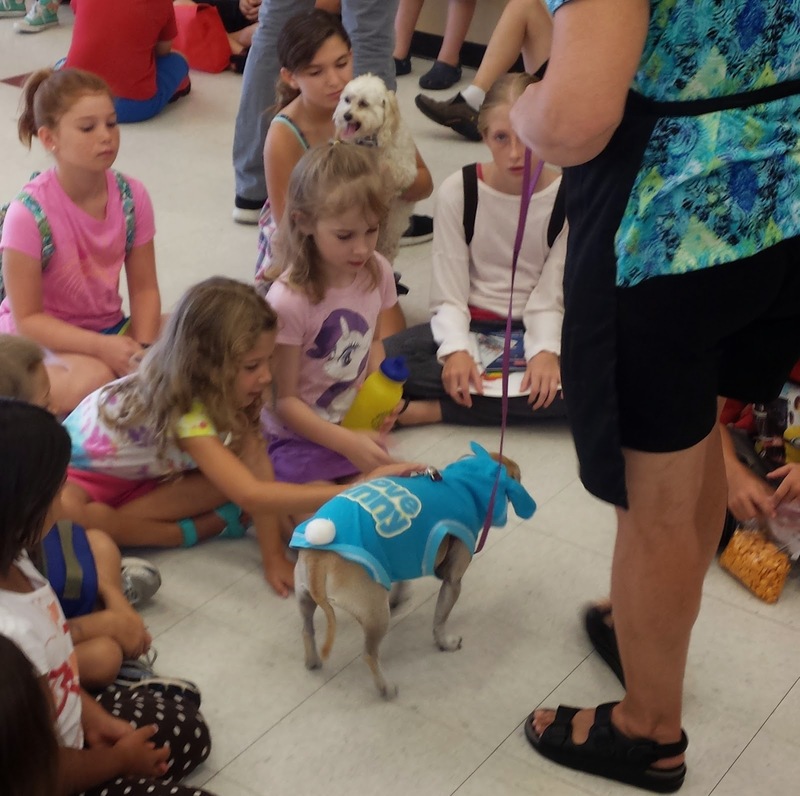 Alice is enjoying an art camp this week that focuses on animals. Kids were encouraged to bring their pets, so we brought cupcake one morning. Alice picked out his "cutest" shirt and gave him a bath the night before so he wouldn't stink too much. He got many pets and oohs and aahs from the kiddos, so Alice was happy and proud of her "puppy"